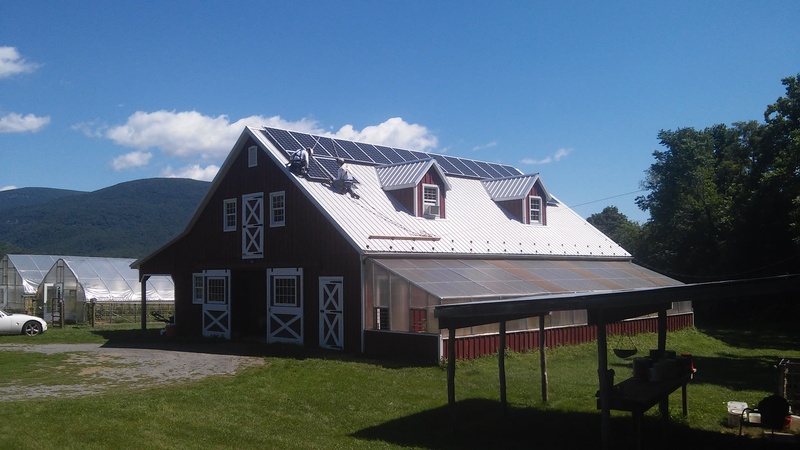 This commercial solar installation will provide 100% of the power used in the flower growing operation at Blue Heron Farm in Nelson County, VA. It’s on a smaller scale than some of our other commercial installations, but no less exciting! Owners Bev and Keith work to protect the environment by using organic practices on the farm. They felt compelled to speak out against the proposed pipeline cutting through their region, and they wanted to make a concrete change in the way they procure energy. They would have installed the system even if the return on investment was not so good. They have also installed a system to generate the electricity used in their home.